There’s just gotta be super-intelligent Space Brothers out there who’ll show us how to solve all our problems and there’ll be paradise on earth and we can join the Galactic Federation–stop me if you’ve heard all this before. There are plenty of false religions out there. The above is one of them. 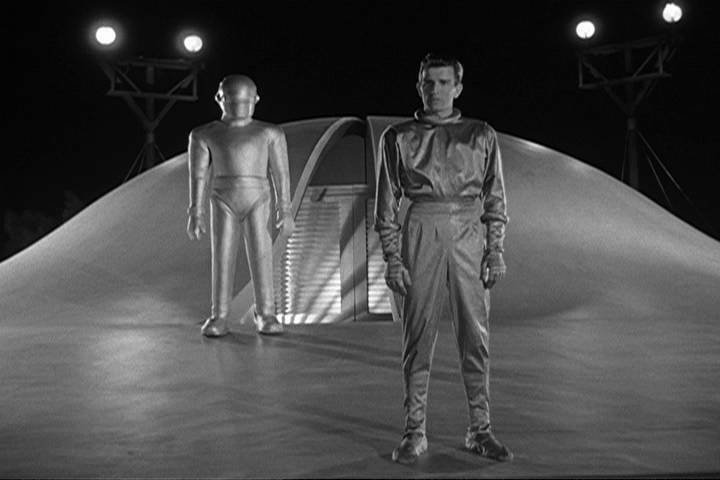 This entry was posted on Monday, December 10th, 2018 at 10:22 am	and tagged with alien intelligence, extraterrestrial life, Klaatu barada nikto, science fiction as religion, space brothers, The Day the Earth Stood Still and posted in news, science news. You can follow any responses to this entry through the RSS 2.0 feed.